Air Transat has dropped the price of their spring and summer 2017 flights from Toronto to Vancouver down to $454 CAD roundtrip including taxes. Virtually every date is available, on every day of the week, including weekends. For comparison, this is undercutting WestJet and Air Canada's lowest non-stop prices by 45% over the same dates range. 3. Click through from Skyscanner to the website showing the cheap price. 2. Try virtually any dates between August 24th and October 2, 2017. Even over Labour Day weekend in September! 3. The price should be $453 CAD roundtrip. toronto, yyz, flight deals, air transat, vancouver, british columbia, canada, yvr, bc and north america. 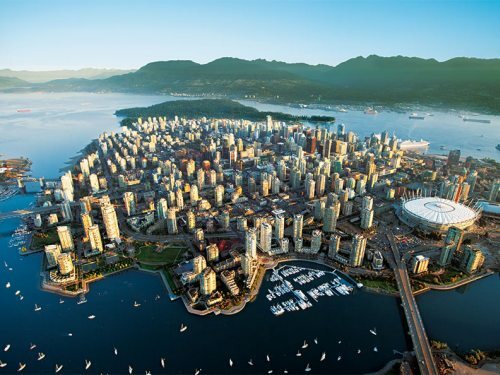 One Response to "Toronto to Vancouver - $454 CAD roundtrip including taxes | spring and summer 2017, non-stop flights"
Just booked our summer family trip! Thanks a lot - saved us TONS of money! !